Brenda Sue Green Collier, age 60 died suddenly Dec. 16, 2014 at Horizon Medical Center. Funeral services for Brenda Collier were conducted Friday afternoon, Dec. 19, 2014 at 1 pm from the chapel of the Taylor Funeral Home. Place of rest is in the Dickson County Memorial Gardens. 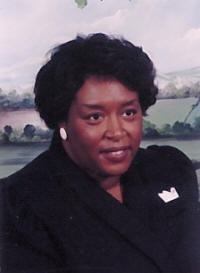 Survivors include Her Husband of 30 years, Tyrone Collier; Her Son, Ovid Jerome (O.J.) Green; Her Mother; Mrs. Edna Green; Her Grandson, Darius Tyrone (Buddy) Green; Her Sisters, Gwendolyn Bell, Sheila Green, Rosiland Long, Anita Green and Mona Jones; Her Brothers, Roger Green, Henry Green, Travis Green and Tracey Green. Host of many other relatives and friends.